Fasm painted this live in Foster City, CA at an outdoor church service. 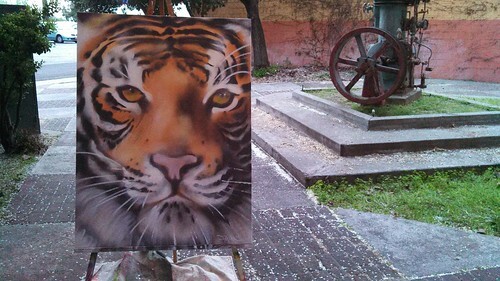 Tiger on canvas, a photo by fasmgg on Flickr. This building really needed a splash of color. It’s in an industrial area so it really felt good to pretty it up. What a great organization to paint it on as well. I’m so thankful they(and the volunteers) are providing food to our community.